Welcome to the 341st Inspire Me Tuesday. With fall quickly approaching seems like everyone is energized to get things redone. We had some fabulous links last week. Here's a small sample. Traditional doesn't look like your grandma anymore. 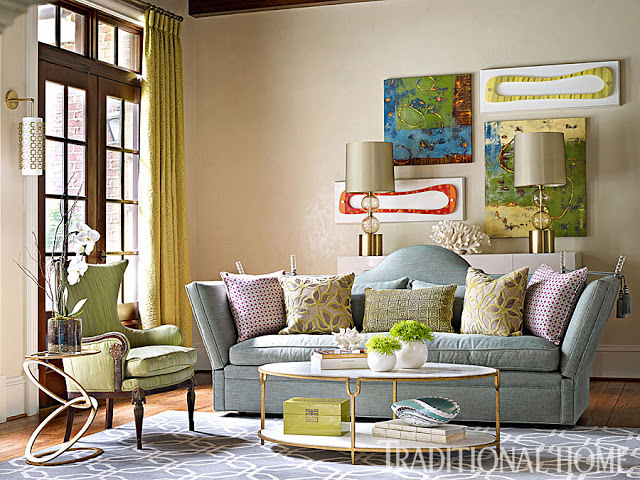 My Kentucky Living shares some fabulous images of the "New Traditional" style. This fits me to a tee. If you have an old dresser that needs a face lift, Angela @ Simply Beautiful took hers to a whole new level with this makeover. 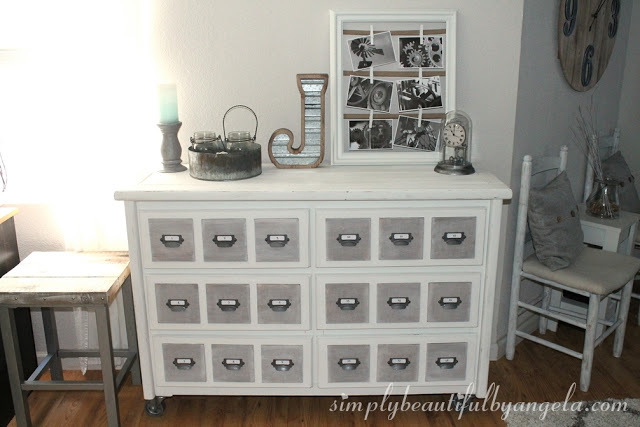 Check out here step by step tutorial to creating this really fun card catalog chest. 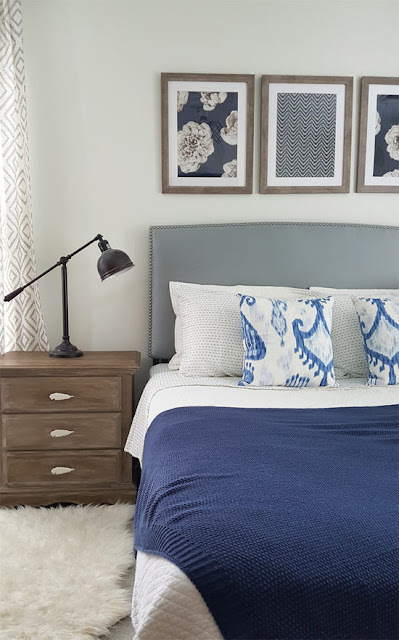 With fall approaching and most of us in a "nesting" mood, I saw quite a few fabulous bedroom makeovers last week. Here are a couple that I thought were fun. A pretty guest room is such a treat for visitors and this one that Let's Add Sprinkles is full of farmhouse charm. I love every detail. Here's another bedroom makeover that is totally awesome. 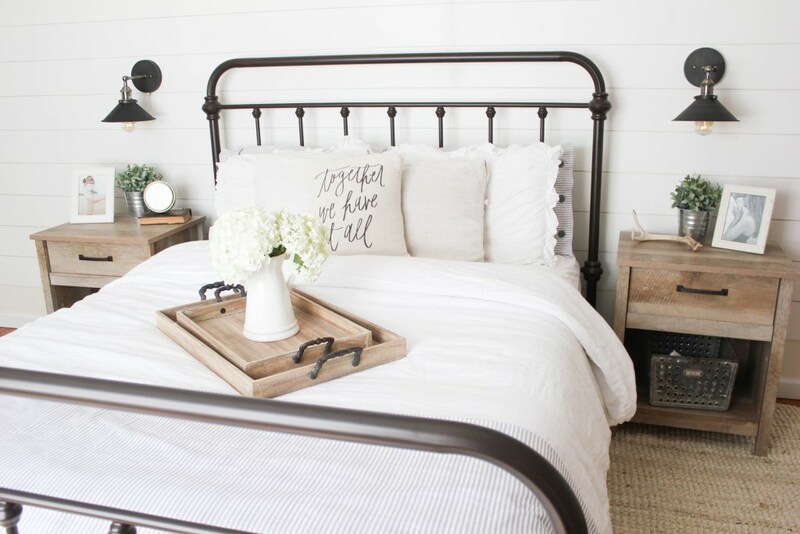 Check out Lauren McBride to see the entire room and all the farmhouse details she added to her master. Gorgeous. With Fall right around the corner and a Hospital Fundraising Dinner to decorate, Twelve on Main needed a lot of centerpieces that she could auction off later. 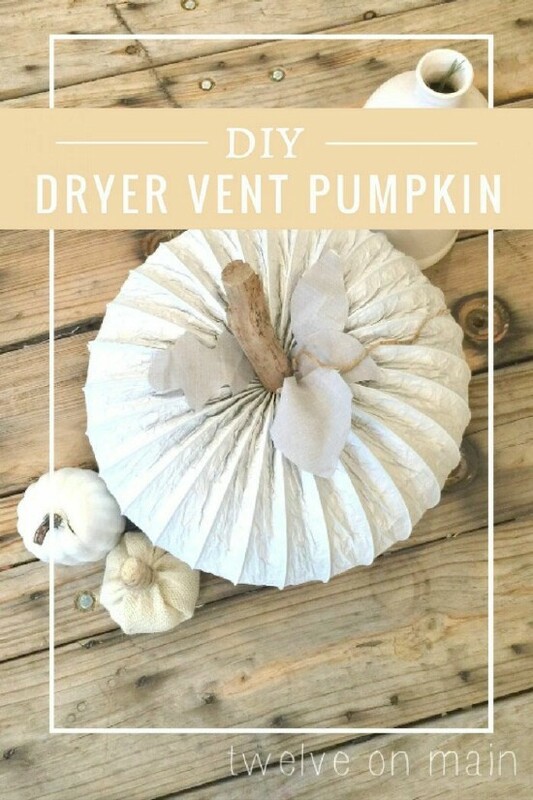 I am totally in love with her Dryer Vent Pumpkins. Aren't these absolutely genius? Party Guidelines Follow and/or subscribe to A Stroll Thru Life Please include a link or my button in your post By linking up,you are giving A Stroll Thru Life permission to use any picture or content to share as a feature or on social media outlets. Thanks for the feature, Marty. You are welcome to visit any time. Just let me know when you are coming! Thanks for hosting. Have an amazing week. Thank you for hosting your lovely party, Mary! Thanks for hosting your fun party, Marty!!! Thanks for hosting Marty! Love the features! Thank you for the great party, Marty. Great features. Love all of the beautiful features. Thanks so much for hosting and I hope you have a wonderful week. What a great party Marty. I hope you have a fantastic week, and thanks for hosting. A little late to the party but glad I made it Marty. Thanx for hosting. 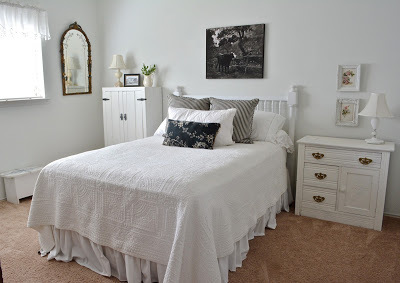 Love the bedrooms you featured! Lots of great features Marty-thank you for the party! Marty, these are such great features! Love that new traditional style! Thanks so much for hosting! Have a great week! It still hasn't cooled off much here in NJ so it's still feeling like summer here! Thanks for hosting and enjoy your week! Lovely featured rooms. Bedroom ideas are mindblowing and totally adored the fabric and creativity. Lots of inspiration here Marty, thank you! Have a great holiday! Those bedrooms are stellar! Great inspiration, Marty. A little late joining the party, but checking out so many beautiful projects, thanks! Such pretty bedrooms! Thanks for hosting!